For several weeks a juvenile Rough-legged Buzzard has been favouring an area of old pit workings just north of the city of Nottingham. It may well over winter here and it seems to be finding plenty of food. Only 20 miles from home, so well worth the visit. The bird showed well intermittently this morning. Often spending time perched in trees and bushes at a distance. During late morning the weather cleared and in good skies and bright sunshine the bird eventually took to the air and spent some time soaring over the large area of rough ground known as Gedling Pit Top. 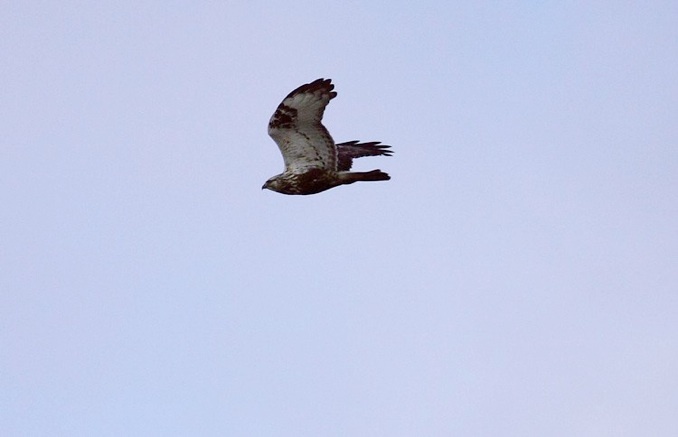 Rough-legged Buzzards usually arrive in Britain from Scandinavia during late autumn and often take up residence at traditional coastal sites in East Anglia, Lincolnshire and other south east coastal areas. They sometimes arrive in good numbers especially if the lemming population crashes in Northern Europe. 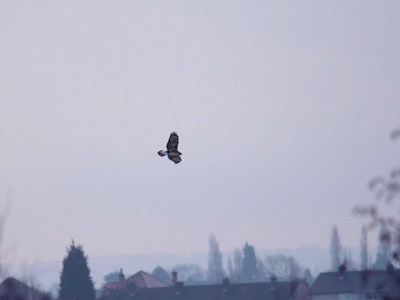 To see a Rough-legged Buzzard inland and away from the moorland areas of North Derbyshire & Yorkshire, is a real treat. 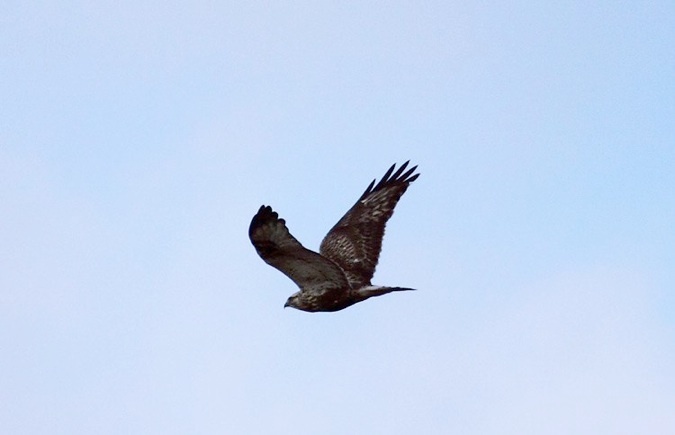 Juveniles are stunning birds and are longer winged and slightly longer in the tail than Common Buzzard. 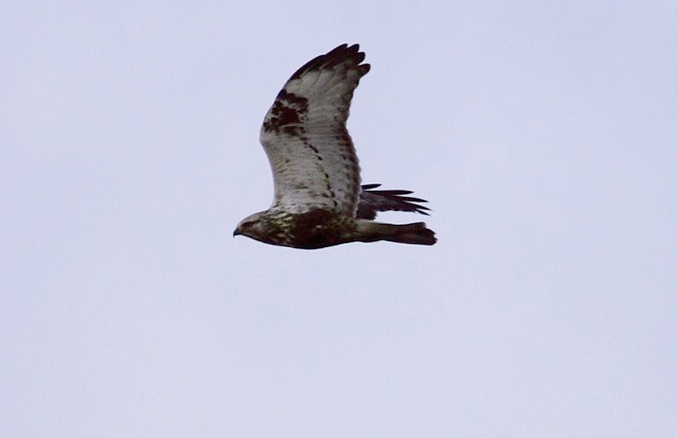 Very pale yellowish cream head and upper breast, feathered legs when perched, white base to the tail, light primary base to the upper wing all help to eliminate Common Buzzard. IMAGES – Juvenile Rough-legged Buzzard – Gedling Pit Top, Notts.